You’re probably not familiar with Allapattah, a Miami neighborhood that has slowly started to transform over the past few years. Just down the street from the famed and crowded Wynwood, Allapattah is the new “cool,” if you will—a haven for local artists and entrepreneurs who feel that areas like Brickell and Wynwood are overrated and that a fresh new place to hang is exactly what Miami needs. Besides all that, it’s an incredibly diverse part of town, home to Cubans, Dominicans, Haitians, Hondurans and many other cultures that have migrated to Miami from foreign countries over time. Below are things to do and places to frequent in this industrial area near the highway, the Miami River and even the airport. Allapattah isn’t just for wholesalers anymore. If you end up in this part of town, you might decide to stay a while for some eating, drinking and exploring. The last thing you’d probably expect to find in Miami is authentic Salvadoran food, but El Atlakat serves up traditional fare plus wine and beer in a no-frills family-owned space. Try the pupusas and the seafood soup; the best of the best Central American comfort food on this side of the country is a pleasant surprise. 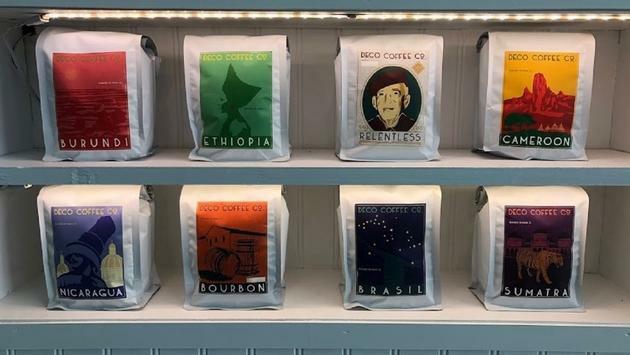 Deco Coffee Co., which opened just last year, is a bright, airy art deco-style space. It roasts its own coffee and serves up mimosas and all kinds of toasts (mushroom, pea, avocado, beet—you get the drift). Pop in for a quick cafecito or stay a while and take full advantage of the energetic atmosphere while knocking a few things off your to-do list. The neighborhood’s first bar, Las Rosas, is a place where everyone is welcome. Come for the live music, stay for the friendly vibes, laidback patio area and drinks that don’t break the bank. Unlike many other Miami watering holes, this place is affordable, fun and doesn’t take itself too seriously. Looking for some cool vintage gifts for yourself or a friend? Mills Vintage stocks 80s and 90s vintage band merch and apparel. The store doesn’t have an online presence yet so it’s worth stopping in and grabbing some cool 2Pac or Metallica tees and a pair of gently-worn Levis to wear on the weekend. Located inside an art gallery, Brooklyn Vintage & Vinyl is home to a collection of more than 5,000 records. Anything you’re looking for music-wise, no matter how rare, can probably be found here. The owner prides herself in being a diehard record collector. She’s been at it since her pre-teen years so she definitely knows a thing or two about what’s good, what’s valuable and what’ll be music to your ears. Last but not least, make sure to stop in at Chapel La Merced, a Catholic church in the neighborhood. 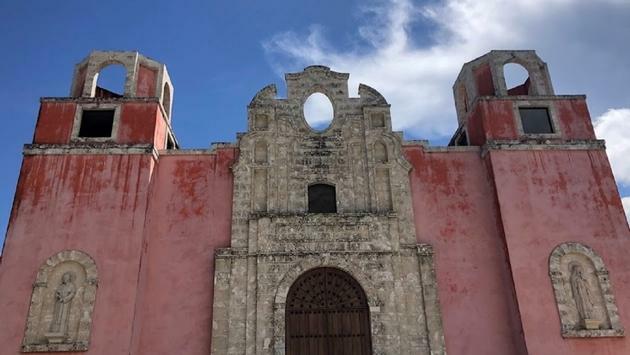 La Merced is a museum or gallery of sorts that houses Latin American Baroque art, and boy is it a sight for sore eyes. Sculptures, paintings, 23.5k gold, wood carvings and more from all over the world live here for all to see. Art lovers rejoice. You can call ahead for a tour of the space and leave with an abundance of knowledge and beautiful images ingrained in your memory. You can take photos, too. The people who run this place take pride in what they’ve created and the history you’ll find here. They hope that over the next few years it continues to grow and can become a meeting place for both locals and visitors.